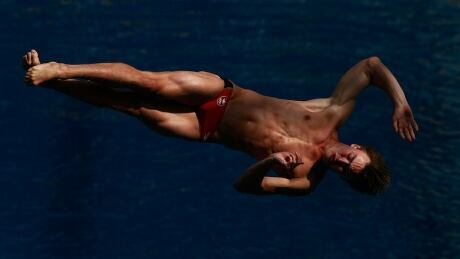 Canadian diver Vincent Riendeau shook off any nerves from Friday's preliminaries but it wasn't enough to qualifying for Saturday afternoon's 12-man final in the men's 10-metre platform in Rio de Janeiro. Canada's Meaghan Benfeito and Roseline Filion will be looking for another Olympic medal in diving Thursday after clinching spots in the women's 10-metre platform final. Canada's Philippe Gagné wasn't going to let a slow start rob him from an opportunity to compete for gold on the 3-metre springboard at the Rio Olympics. The 18-year-old dove back into contention Tuesday at Rio de Janeiro's Maria Lenk Aquatics Centre. Jennifer Abel of Laval, Que., failed to follow up her 2015 Pan Am gold medal with an Olympic podium finish on Sunday, finishing fourth in the women’s individual three-metre springboard in Rio. 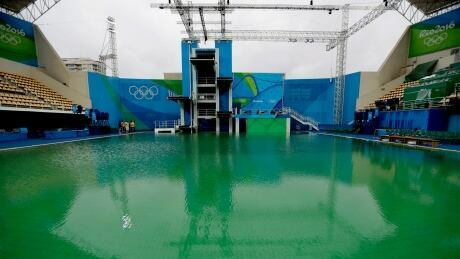 Rio officials have confirmed that the Olympic diving pool will be closed for training Friday. The pool's hue has turned murky green and has worsened over the last few days. 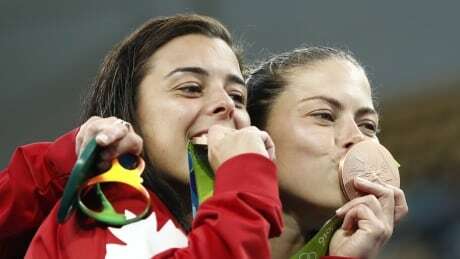 Canadians Meaghan Benfeito and Roseline Filion repeated as bronze medallists in the Olympic women's synchronized 10-metre platform diving event in Rio de Janeiro on Tuesday. A medal favourite entering the Rio Olympics, Canadian divers Jennifer Abel and Pamela Ware finished fourth in the women's 3-metre synchronized event on Sunday. Canadian diver Maxim Bouchard will join Canada's Olympic diving roster poised to contend for medals in Rio. You are currently browsing the archives for the Sports/Olympics/Rio Olympic 2016/Diving category.